"White peach, pear and cherry are strewn with iris and lily-of-the-valley for an even more ravishing variation on the alluring aromatics of the corresponding “Riesling Schiefer.” The palate impression here is flatteringly silken yet animatedly juicy and invigoratingly tinged with tingling pear skin – tender and exhibiting a levity that borders on weightlessness. The long finish caresses even as it stimulates the salivary glands. 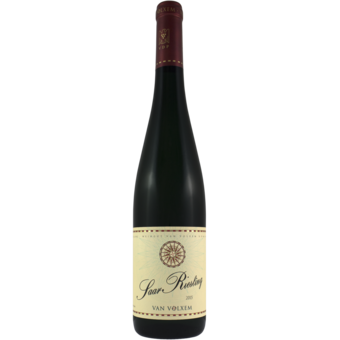 For now, this doesn’t display the myriad mineral nuances of the “Schiefer” bottling, but such additional complexity may emerge with time in bottle – and there need be no hurry in consuming this beauty."